Loans are a means of funding projects or expenses that borrowers can't afford upfront. By paying back the lump sum through a series of payments with interest, loans can set borrowers up for success in their personal or professional lives when used correctly. They're used to pay for academic classes, properties, repairs, cars, vacations and much more. Benzinga is focusing on the types of loans that are available for homes. Whether a borrower is looking to finance a home purchase or unleash their inner Bed Bath & Beyond (NASDAQ: BBBY) stylist with renovations, loans can play an integral role in procuring enough money to make big decisions and changes. In its most basic form, according to the Consumer Financial Protection Bureau (CFPB), a mortgage for a home is represented by a resident seeking the loan to help them purchase their house, “pledging” the property to a bank. The bank then allows the resident to make payments on the property with interest in order to pay back the debt. Once payments are complete, the resident fully owns their home. If the resident defaults on their payment, or stops paying the bank, the bank can foreclose on the property and sell it in order to make back the loan value. Loans for residential properties come in the form of both fixed-rate and adjustable-rate mortgages, according to the Federal Deposit Insurance Corporation. Fixed-rate, like the name suggests, is a consistent interest rate for the entire duration of payments. These loans typically have a lifespan of up to 30 years and protect against interest rate fluctuation in the market. Adjustable-rate mortgages start at a fixed-rate and adapt to the market interest rate after a period of time. This unpredictability could cause future payments to be less, if the interest rate drops, but could also be subject to a rise in interest rates, which may make payments too high for the resident to make. Besides the obvious benefit of an improved living environment, investing in the upkeep and improvement of a home can increase the market value with an eye toward a future sale. Home improvement loans come in three primary forms for the financing of such projects. Home equity loans essentially work like a second mortgage. They are typically used by borrowers who have a lot of equity in their home — meaning they've been paying their mortgage for years — and are undertaking larger projects. The maximum possible loan amount is typically found by taking 85 percent of the value of a home and subtracting what is still owed on the first mortgage. However, it differs from lender to lender, according to Rocket Mortgage. The amount is paid back over a longer period of time at a fixed rate. 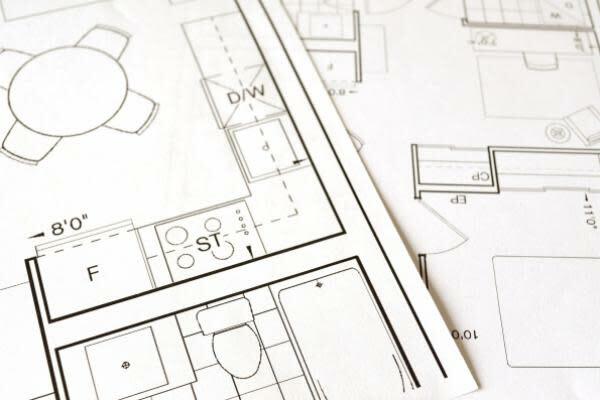 This option is best for larger projects, as it makes a larger loan possible and, since the pay period is longer, the borrower won't be paying off small renovations years into the future. A personal loan is an unsecured loan, meaning that it's not backed by home equity as with the first option. The amount available is based on certain factors like credit scores. The bank then determines the loan amount. The pay period for personal loans is shorter, and amounts typically range from $1,000-$10,000. This type of loan is great for smaller projects and for residents who have very little home equity to draw from. The CFPB also reports that a home equity line of credit works very similarly to a home equity loan. The amount that can be obtained, which is typically larger than a personal loan, is based on the available equity. With a HELOC, the interest rates are typically not at a fixed rate, and the full amount that can be borrowed is not paid out as a lump sum. Residents working on improvements can draw from the available loan numerous times during their project instead of simply starting with the full loan.